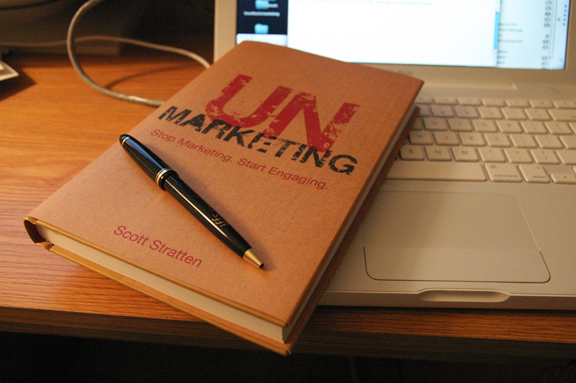 Scott Stratten’s book UnMarketing: Stop Marketing, Start Engaging, flipped my perspective of marketing on its head. My wife and I were at the library thumbing through books and I happened to just pull this one off the shelf due to the grabbing book title. Immediately, as I’m thumbing through the first chapter of the book, I realized that this was a keeper and I took it home to read through. I’m glad I did. In the first chapter, Scott discusses the hierarchy of buying. At the top of the pyramid is the smallest, but the area of “marketing” where the majority of potential business will come from, current satisfied customers. Of course, we move down to the larger base of the triangle, which signifies the largest, broadest form of marketing that people try and utilize to gain business. This happens to be “random search” and cold calling. (Two of the things I’ve crossed my fingers with, hoping to get business..albeit unsuccessfully.) This chapter alone was worth the whole book. From it I learned that, as a small business, I should focus the majority of my time, energy and resources on gaining more business from those who I already have a relationship with. The whole premise of Scott’s book is that old marketing tactics don’t work any more. The modern buyer is way more shopping savvy these days and wants more than a list of features and benefits when making a buying decision. We have to create “engagement” with our market. We have to listen and provide value to them even before they decide to buy. The book is filled with case studies and stories about businesses that have “gotten it” and how it has worked for them to increase brand awareness and their bottom line. Aside from the stories, the book also offers up practical insights as to how to engage and utilize techniques that will help businesses start conversation with their market. Doing this will hopefully help businesses build and attract customers, versus the old “push and pray” tactics that aren’t working today. 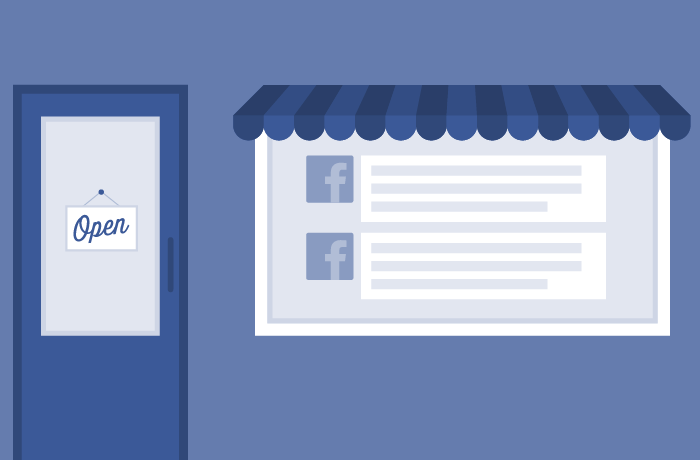 Instead of brushing off social media as a “fad”, businesses need to start seeing social media as a tool in their marketing tool box to engage customers. We must face the fact that people are using social media, so if we are going to put ourselves out there, we have to take our products and services to where the people are at. The key is doing it in the right way. Providing valuable resources instead of sounding like an infomercial when we socialize. If you are a business owner who cares about staying in business, I would highly recommend you add this book to your marketing arsenal. 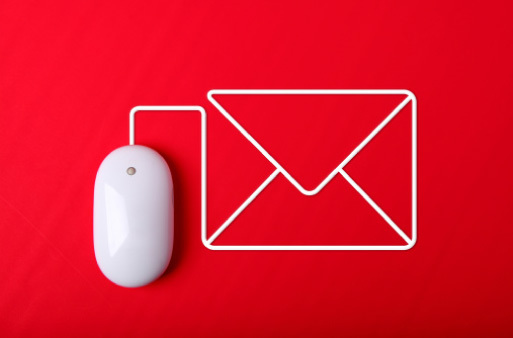 I’m sure you’ll pull away a weeks worth of new things to add to what you already do, if not a few nuggets of insight we all could use to help market our businesses in today’s digital market space.